Forecasting has been one of the most important functions of an astrologer for thousands of years. From Kings and Queens, to the men and women on the street, everyone has wanted to know what their future holds, and still do, to this day. Such knowledge gives a person power. What's in a TimeLine personal report? 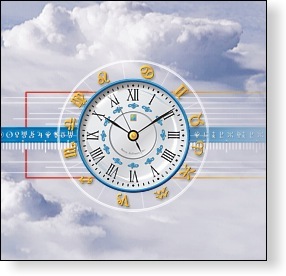 Astrology does not claim to be able to forecast a specific event happening to you at a specific time and place; what a TimeLine report does do, however, is tell you exactly what planetary influences are at play in your life, and when, and how these influences will be relevant to you, based on your own personal birth chart. This information empowers you—you will at least know what you are working with; any choices made, however, regarding what to do—or not do—in the light of this information, are yours alone. This is why most of us who are interested in astrology, love astrology: because one acquires knowledge which is empowering, knowledge helpful for making the right choices at the right time; and, moreover, the freedom of choice, as far as how to apply this knowledge, always remains with the individual. TimeLine reports are written in a clear and concise manner, with an easy to understand style requiring no knowledge of astrology. You will intuitively key in on the things most important and meaningful to you at the moment—and the rest will come naturally. Soon you will be able to recognize and understand what is going on now, as well as what is coming up. The accuracy of a personal TimeLine report may amaze you. Order a 6 months personal TimeLine report.